What is Mountain Life without a couple of cold ones after a big day out in the world? Beer is a celebration of a great day being outside, no matter what season. It’s a reward for a job well done — a moment to acknowledge you, the drinker. And it’s an exciting time to be exploring beer. With the right materials and equipment, a microbrewery can be as small as your neighbour’s closet, the bar as big as his living room or patio. To be a brewmaster (or brewster, if you’re of the female variety), you have to have a passion for it, and you also need a unique way of looking at life. How else can you come up with a Rye IPA or a Session Ale that’s infused with green tea? Both of these beers have funky labels, and they’re both from Deep Cove Brewers. Founder Shae de Jaray is an immediately likeable man, and his love of his job is clear from the excitement in his voice. We chatted with him – sadly, a phone interview, not with a beer – to talk about his North Shore-based company. You’re obviously passionate about what you do. What is your favourite thing about brewing beer? My favourite thing about brewing, by far, stems from my engineering degree. Brewing beer is a combination of art and science. I’ve always been a big nerd; I wanted to be an astronaut when I was a kid pretty bad! It has that nice fun combination of both being able to be really artistic with it but the more science you put in to any beverage, the better it turns out. 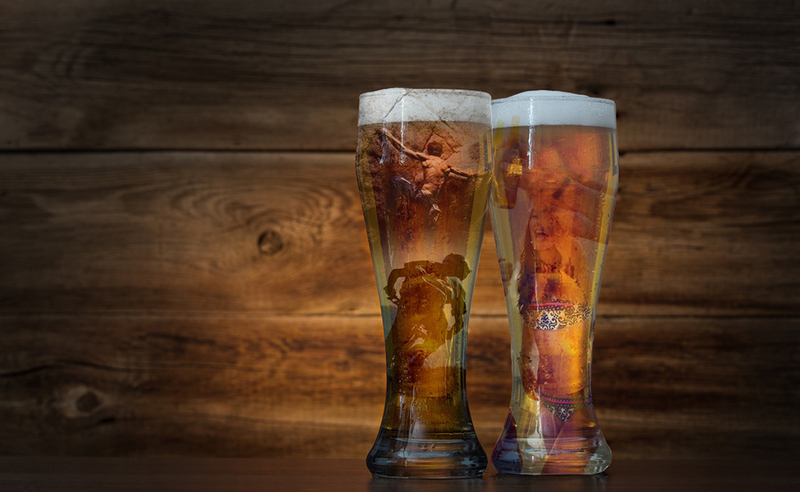 Your products have a bit of a twist on the everyday – the saison infused with Rooibos tea is a perfect example. Where do these ideas come from? A lot of it comes from my team. For the tea saison that we launched last summer, we wanted to come up with something that hadn’t been done before. Saisons are pretty new to the market, they’re similar to a wheat ale, and it differentiates us from the market: not your typical wheat. We were looking at all the summer style beer – fruit based, there are even some with cucumber in it now. We bought a bunch of little bags from David’s Tea, and made a bunch of small test batches of saison, steeping the tea to see what kind of flavours came out of it. I think there are a couple of beers that played around with tea, and we thought, if we can find some tea that has some dry fruit character with a little bit of spice, it should work well. It turned out great! What have you got coming up this summer – any surprises up your sleeve? 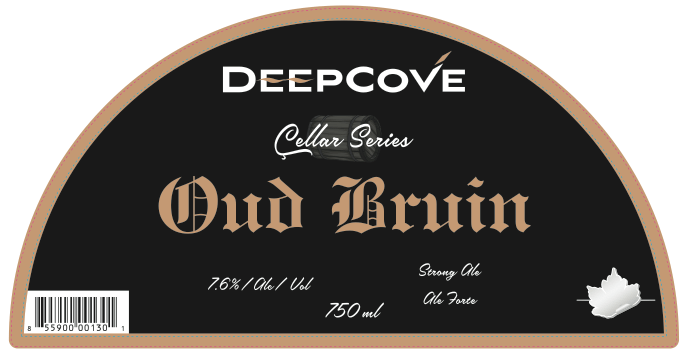 We just launched something we’ve been working on for a year and a half – an Oud Bruin Sour that we’ve had aging in Pinot Noir Barrels for 18 months. Sour is definitely not a mainstream style beer, but it’s for the people out there that I call Beer Nerds out there. It’s extremely unique, and it’s extremely hard to make, and to really nail it down is a huge accomplishment. We’re super stoked about it, because it’s been a year and a half of time invested, so you can’t help but think, “God, I hope this beer tastes good”. It’s a lot of time and energy that turned out absolutely phenomenal. We’re amped about that. We also have a new brewmaster that’s been on for about 6 weeks. We really wanted him to flex his creative muscles and he’s come up with some great ideas. His family is from New Zealand, and that country has some really great hop varietals growing over there that aren’t really being used on the West Coast here.So we’re working on a tropical pale ale, some passion fruit in it, that’s a lot of fun and we’re expecting it to turn heads. That should be out by mid-August. We are also doing a commemorative beer – our 2nd annual batch – called the Tim Jones Legacy Ale. Tim Jones was the guy – voice, figurehead, for North Shore Rescue Team who, due to extremely unfortunate circumstances, passed away in January 2014. Now, we know some of the guys on the team. It all started with looking at how we could help them out, so we wanted a way to commemorate him, and raise money for the team – it’s an all volunteer program. Tim was in charge of the financial side of North Shore Rescue, so suddenly the rest of the group was missing that side of things and they were stressing out about how they were going to keep helicopters in the air. We came up with the idea of not only throwing a big fundraiser for them but also brewing a beer in memory of Tim Jones. We got together with his family who were so excited about it. They helped us brew the beer, and helped us with the recipe of what kind of beer he would like, or what the entire rescue team would want to drink after a big day of climbing mountains and pulling people out of danger. We launched that last November, and raised $15,000 for them, which for a small company is pretty crazy for a small company. We moved the event up to this summer, July 19th – it’s a little more of a push, a little less time to prepare, but we’ll be releasing the second batch. It’s going to be a golden ale, kind of a kölsch style, definitely a drinkable session ale, and we’re looking to raise upwards of $25,000, maybe $30,000. This is the big kahuna for us, and it’s been a real treat working with these guys. Everything is going great now. If things keep going the way they are, what’s in store for DeepCove in the next few years? We have a couple of things that we want to get done long term – Kat (Frew, Director of Sales and awesome lady – ed) told you about our upcoming Aprés Lager, a real solid drinkable beer for days up in Whistler and a way to build a solid beer brand around Gibbons Hospitality. Joey (Gibbons) is my partner up there, and he and I have similar goals, launching what we hope to be the Whistler aprés beer. We’re actually in the middle of formulating the recipe as we speak. Our goal with this beer is to really capture the North Shore to Pemberton market as two north shore boys getting together – Joey throws parties, I make booze that makes parties great, and it has a really nice feel with what we’re trying to do. If we can get the Aprés Lager in the hands of what would be our immediate local community, that’s our number one priority. When our customers are loyal to us, we’re going to do our best to give them what they’re looking for. That’ll be happening in the next 6 months and it’s gonna be a lot of fun. The other aspect is that microbreweries aren’t really focusing on this style of beer – a couple of years ago it was all “Who can make the hoppiest IPA”, it has trends like anything else – and for that reason we’re pretty keen on it. At the end of the day, we really hope to be the backyard brewery for the Sea to Sky. Concentrating on that area, through to Vancouver and keep expanding. 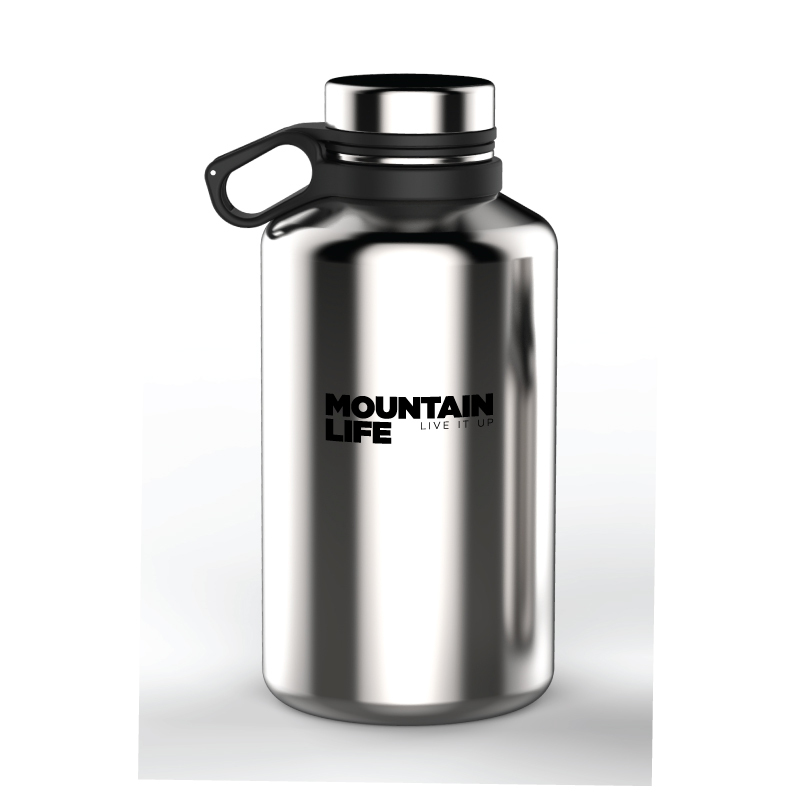 As a special bonus for our readers, we’ve partnered with our friends at INNATE GEAR who’ve produced these amazing custom Craft Growlers — the ultimate in insulated beer-on-the-go convenience. We’ll be giving one of these away with each series that we publish — just give it a like on good ‘ol Facebook and we’ll draw the name out of a hat!